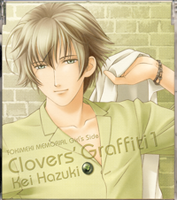 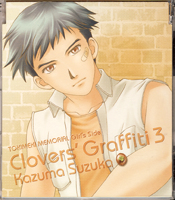 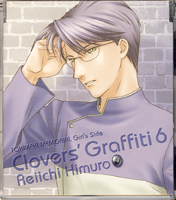 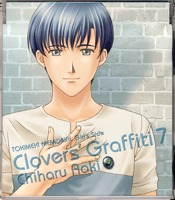 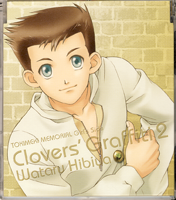 Every volume of Clovers' Graffiti is comprised of several drama tracks, a vocal song, two instrumentals, and a track that conists of the boy speaking directly to the listener, saying everything from "I love you," to "Good night." 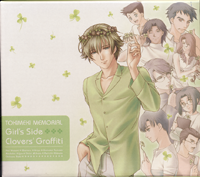 Each single also came packaged with a 'polaroid' bromide of the boy in question, as well as a fold out picture which includes lyrics and liner notes on the back. 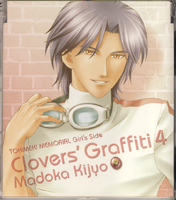 Each of the singles is color coded, and each one features only one gentleman. 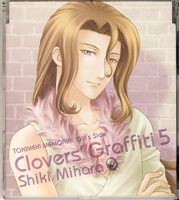 Morimura Sakuya and Amanohashi Ikkaku do not have their own singles.